A few weeks ago, whilst at the Porsche Experience Centre in Silverstone for Forza Motorsport 7 and the Xbox One X, our very own Tom Matthews was lucky enough to get the chance to interview the main man himself – Dan Greenawalt, the Creative Director of the Forza franchise and its developer, Turn 10 Studios. We asked him a few questions ranging from the release of Forza Motorsport 7 to the initiatives created by the Porsche partnership. Some of the conversation included discussion around his favourite track in the Forza Motorsport series, whether the all-time classic Car Football will ever be making a return to the franchise, as well as his favourite cover car. 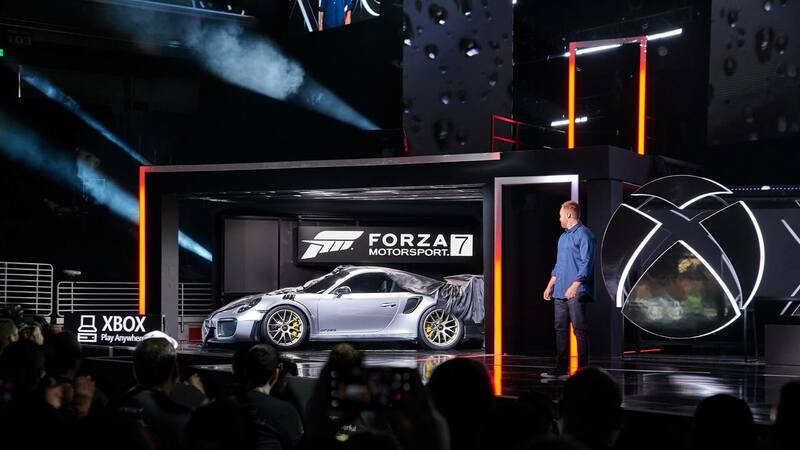 We also spoke about the debut of the 2018 Porsche 911 GT2 RS with Forza Motorsport 7 at E3 2017, which was the first car to be ever revealed at a gaming convention! For the full interview, check out the video above, and you can also find Dan Greenawalt over on Twitter.